Payment can be done also via Skrill or Neteller, please contact me at boturbotrader@gmail.com also if you are facing problems to pay, contact me so i can provide a lot of different payment methods! 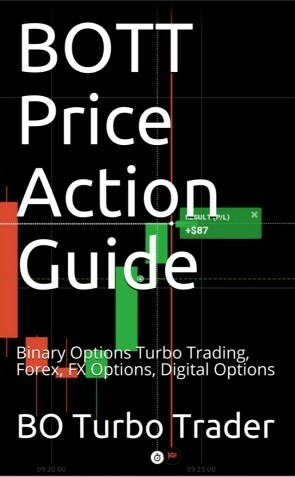 The ultimative Price Action guide (7 edition) for any kind of financial instrument (Binary Options, Forex, FX Options, Digital Options) any kind of time frame from 1 min over 5 min up to 15 min, 30 min and above and any kind of broker. This ebook is all you need, especially as a binary option turbo trader or Forex day trader to get profit out of the market, to get out of debt, make yourself a living or help your friends and family and to archieve financial freedom.